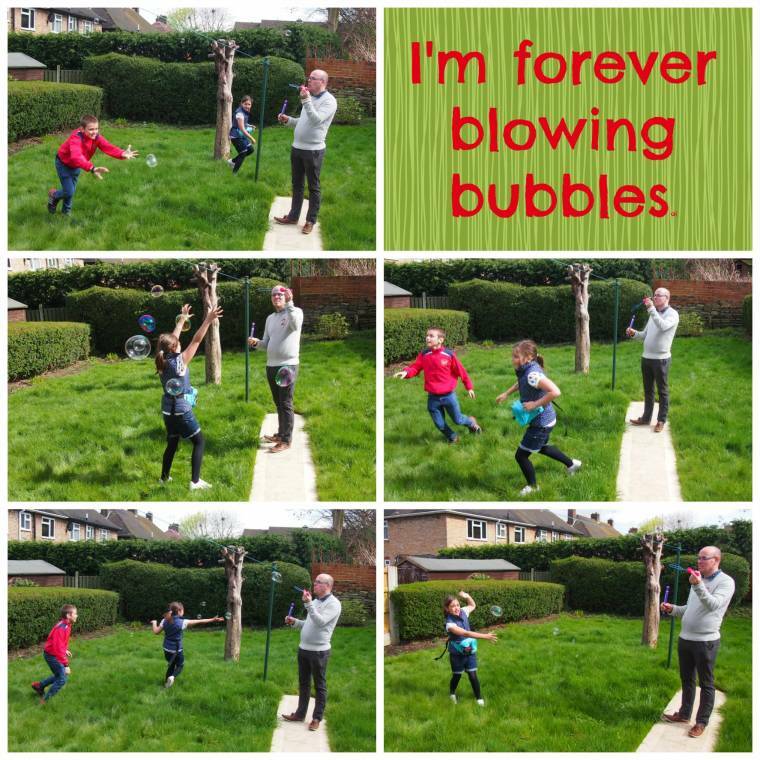 I’m Forever Blowing Bubbles… Well, not me… My husband!! Take a princess bubble wand from the pound shop, 2 children competing against each other to catch the most bubbles and the fun to be had beats any day out at a shopping centre buying expensive toys. I have never heard so many giggles and seen so much fun had in such a short amount of time!! There's just something irresistible about bubbles! Haha true 🙂 thanks Sarah .. Thanks, always so much fun ..
Ha ha, how much fun!! Looks like they had great fun! All kids (big and small!) love bubbles don't they! It doesn't have to cost the earth and having fun together is the best! 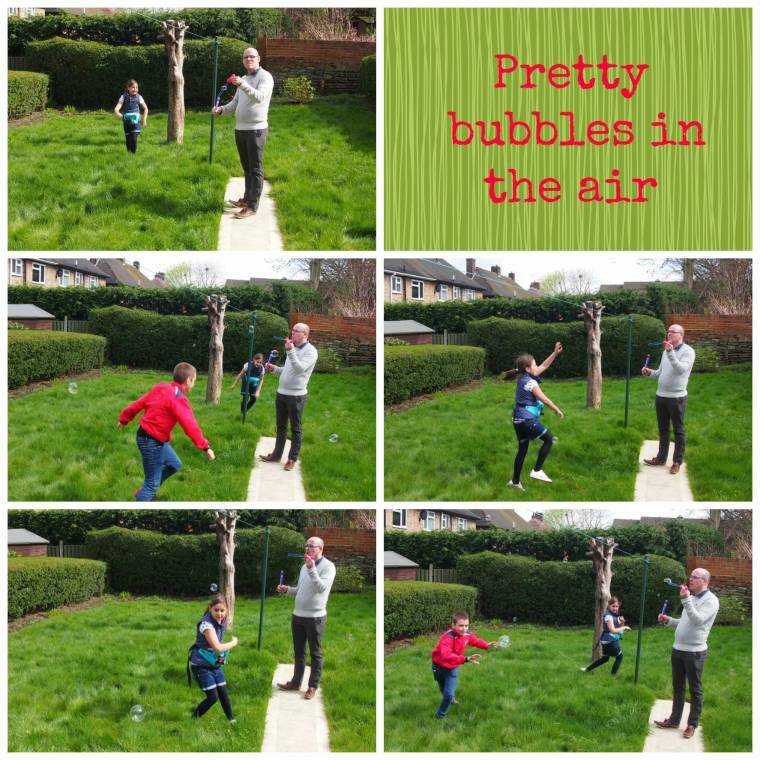 Lovely photos of the children having some competitive bubble fun together – roll on the Summer. Thanks for linking up and sharing with Country Kids. So much fun with something as simple as bubbles! It's lovely to see kids being kids.